Ice cream. It is a cross-cultural thing. When venturing into Buenos Aires, some fantasize about steaks and tango, gauchos and gourds of mate. Yet, the unexpected afternoon delight that melts your heart is this dessert. Growing up as a North American kid, my experience was different. I remember the jingling bells of the bicycle-propelled dickie-dee and the creepy carnival music that played from the white, square truck. Kids would run from their front doors to scoop up a soft serve with their saved pennies. That is my nostalgic ice cream culture. It was nice to read an article in the NY Times that highlights how Buenos Aires is combining two of their passions: ice cream and dulce de leche, a creamy kind of caramel. I remember trying this frozen post-steak treat for the first time, my mouth shriveling at its sweetness. It’s an acquired taste, one that today’s porteños have had nearly a century to get used to. The article refers to the flavor as a “national treasure in a cone.” It seems as though much of the Argentine culture surrounds the cow: its meat, its hide, its milk, the lifestyle of the gaucho. Still, they are able to take what is traditional and tweak it by putting together the things that they have. As an attempt to modernize tradition, to keep up with the “novelty” demand, they have also decided to toss in cookie crumbles and bits of chocolate into the dulce de leche flavor. 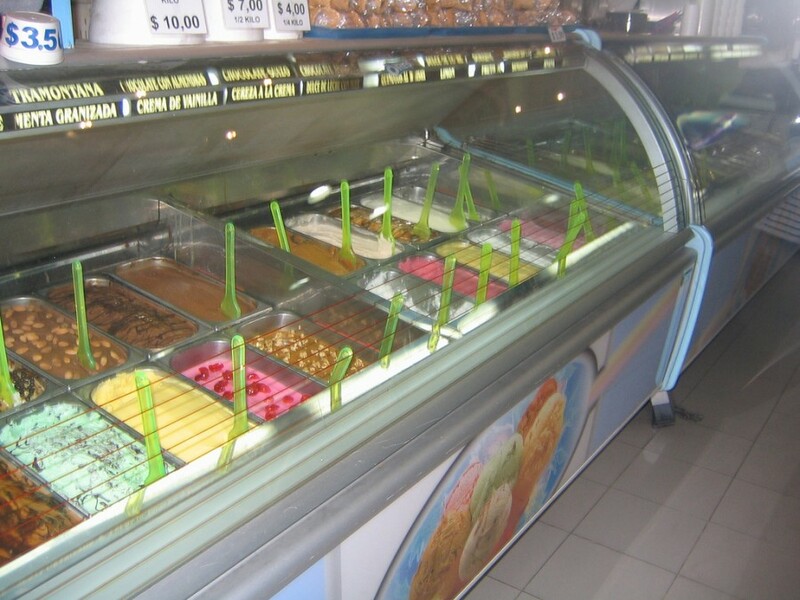 Even if they didn’t, I have a feeling that the helado would still sell: it’s universal.